Where you’re looking for a staycation or a destination getaway, here are a few places across Canada for the perfect couple’s escape. The Kingfisher Oceanside Resort & Spa is an award-winning luxury resort on Vancouver Island with panoramic views of the Georgia Straight. 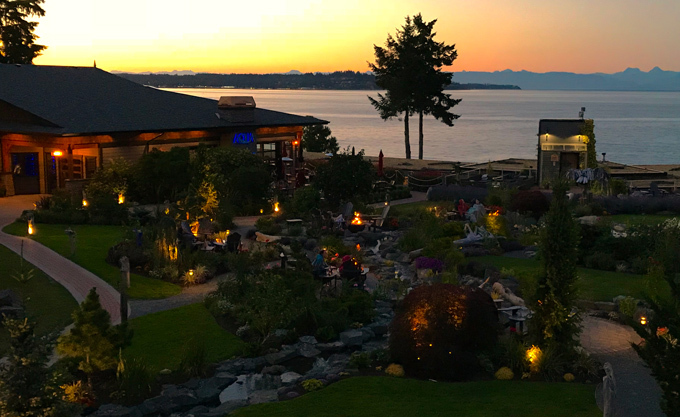 They just recently completed the first phase of a $17 million renovation that introduces guests to a reimagined resort that offers a perfect balance between luxury and approachability, while capturing the allure of Vancouver Island. 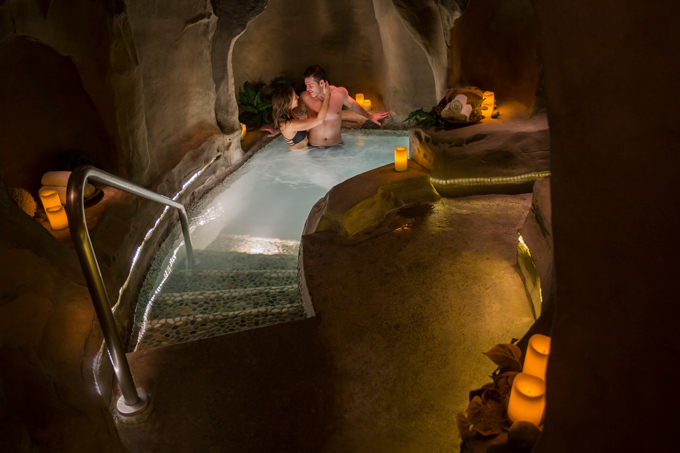 The resort features the world-class Pacific Mist Spa with a signature spa experience like no other called the Hydropath, a re-created West Coast shoreline in a cave like setting featuring sandstone sculpted caves and pools. Kingfisher offers a number of different resort packages starting at $135 per person with spa and/or dining credits included. 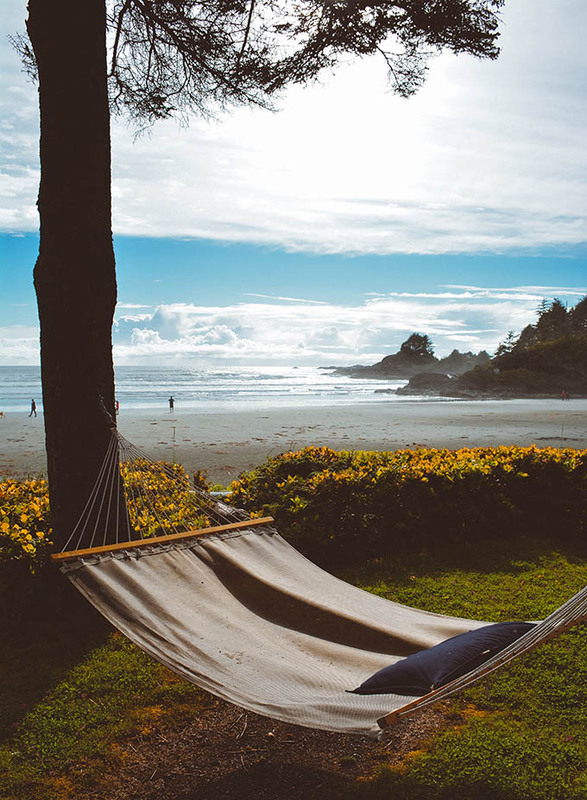 Pacific Sands Beach Resort offers two alluring resort packages for couples looking to reconnect and recharge with a getaway to tranquil Tofino. 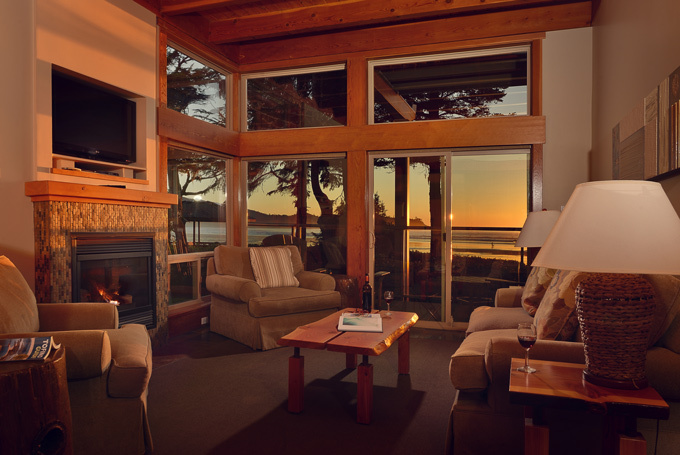 The Romance Package starts at $241 and includes choice of beachfront and ocean view accommodations; one bottle of Sparkling Wine; two Pacific Sands etched champagne flutes to take home; local handmade Tofino chocolates; massage candle; fresh cut red rose petals on your pillow; and unlimited DVD movies and popcorn. For the ultimate dose of rest and relaxation, there is the Spa-cation Package complete with a pampering spa experience at Sacred Stone Spa. Packages start at $287 and include choice of beachfront and ocean view accommodations; choice of a 60-minute Signature Massage or Facial at Sacred Stone Spa and 25% off infrared sauna. 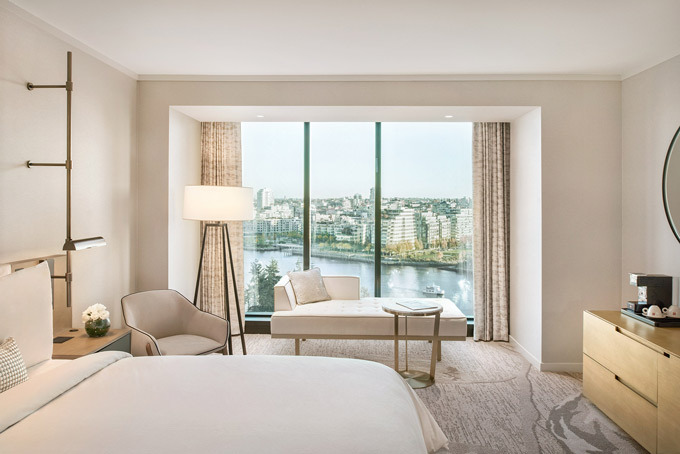 The JW Marriott Parq Vancouver is offering a sweet romance package featuring luxurious 5-star accommodations; cocktails or dining at Honey Salt with a $100 daily credit; and breakfast in bed the next morning with two items from the Classic Breakfast Menu. Book online using promo code ROM. 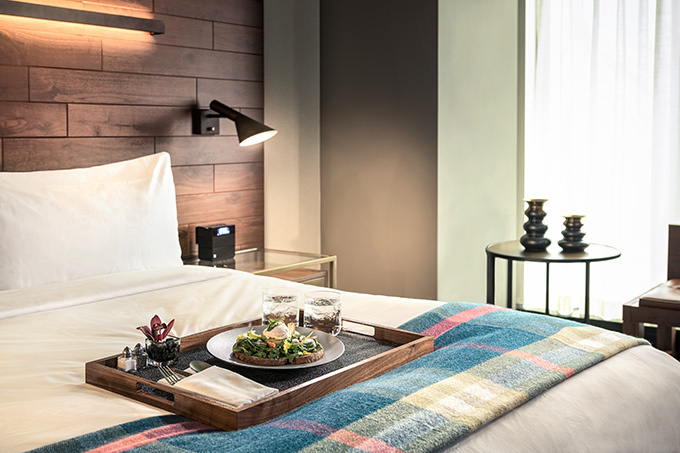 The Douglas in Vancouver has a romance package featuring luxury nature inspired accommodations, $100 daily dining credit to The Victor, Parq Vancouver’s rooftop steak and seafood restaurant; and daily in-room dining breakfast for two. Couples can enjoy immediate access to the amenities of Parq Vancouver resort including 8 restaurants and lounges, elevated gaming, Spa by JW, outdoor aqua lounge and 24-hour fitness center. Book online using promo code ROM. 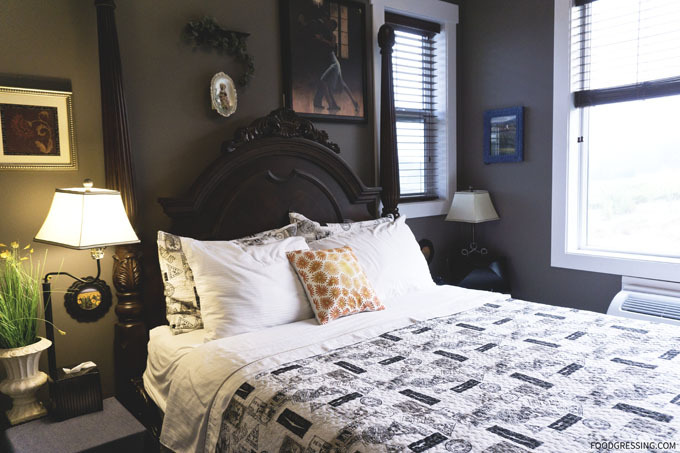 Brookside Inn is a lovely bed and breakfast in BC’s Fraser Valley and is recognized as a Top Small Hotel in Canada and 3rd Most Romantic Hotel by TripAdvisor. Their Romance Package includes a bottle of sparkling wine and glasses; a red rose; a farm-to-plate deluxe charcuterie platter with locally-sourced farm-fresh foods; LED candles; robes and slippers; two chocolates; and silk rose petals PLUS a delicious gourmet breakfast. To book, call or email 604-856-3300 or email info@brooksideinn.ca. Check out my full review on my stay here. Located next to Victoria’s Inner Harbour, the Fairmont Empress is an ideal getaway in one of Canada’s most romantic cities. Enjoy a complimentary bottle of local sparkling wine on arrival, and daily breakfast in bed for two (Standard Offer), or a Champagne Breakfast for two one morning throughout your stay (Premium Offer). 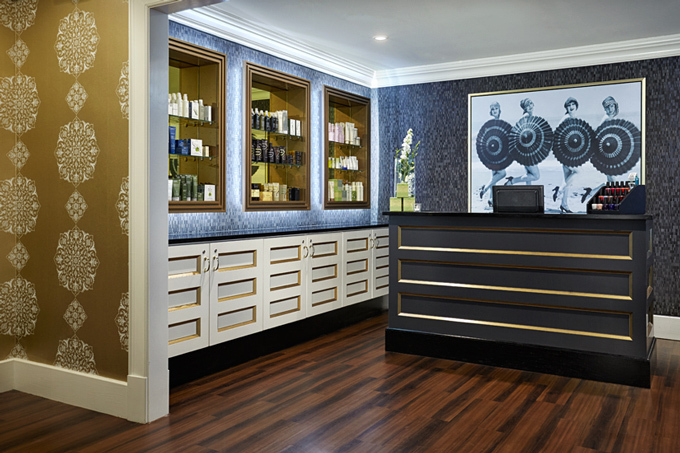 Book the premium Love Struck package and also receive $200 credit towards either a couple’s or individual treatment at the luxurious Willow Stream Spa. Rates starting from $399 per night in a Deluxe category room for the Standard offer. 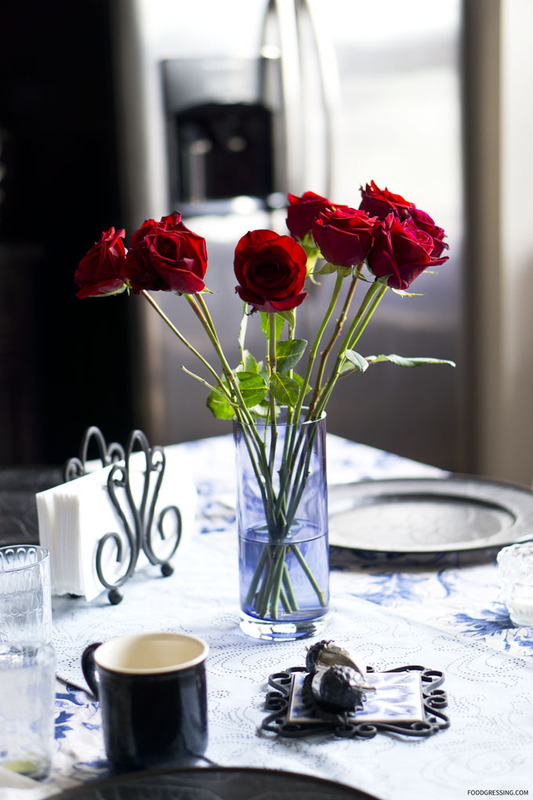 Rates start from $419 per night in a Deluxe category room for the Premium Romance offer and a 2 night stay minimum. To book, visit here. With breathtaking suites available, the Ritz-Carlton Toronto offers a special romance package, which includes handmade chocolates and a rose petal turndown service, to sweep your partner off their feet. Packages start at $665 per night. Take your love to new heights with exclusive access to the St. Regis Toronto’s entire two-level spa, soaring 31 stories up. 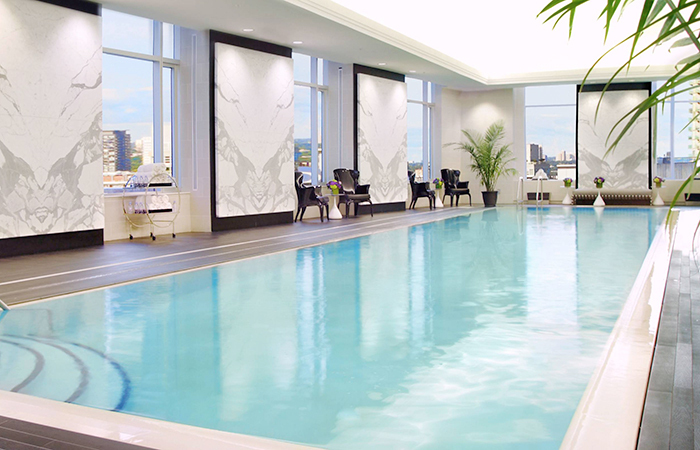 This offer includes 4 hours of private access to the hotel’s spa, a 2-hour couples retreat with a dry brush exfoliation, 90-minute couples’ massage, a candlelit midnight swim overlooking Toronto’s endless skyline with personalised music at the hotel’s infinity edge saltwater pool adorned with floating rose petals. The cost based on 2 guests is $3,000. The JW Marriott on Lake Rosseau provides the perfect location for couples looking to relax and reconnect in solitude. The hotel’s couples’ package includes daily breakfast, chocolate dipped strawberries, sparkling wine, daily spa access and a $25 spa retail credit per night. Two-night couples getaway start from $299/night. 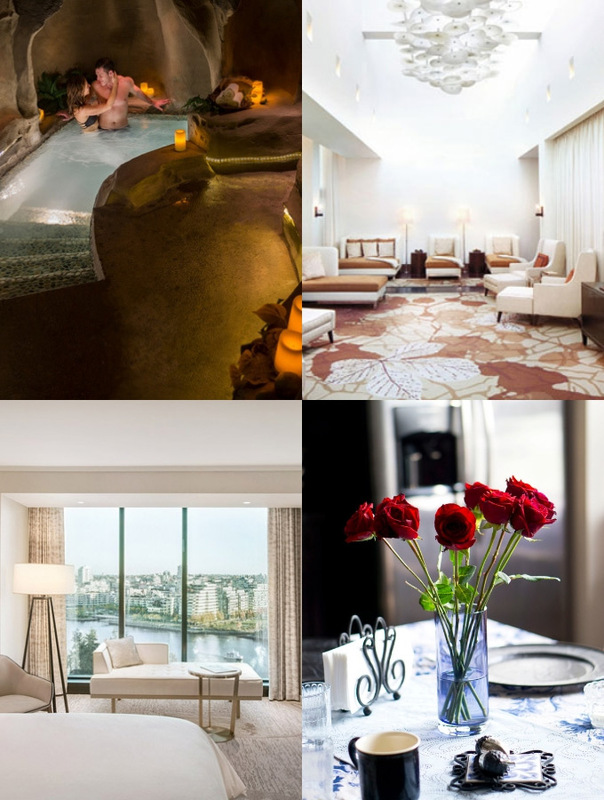 Ultimate Valentine’s Day Package ($599): Couples Massage (60 minutes), $100 Braxton’s Restaurant Credit, 2x Algonquin Resort Robe’s, Bottle of La Marca Prosecco, and Shampure Soy Wax Candle. 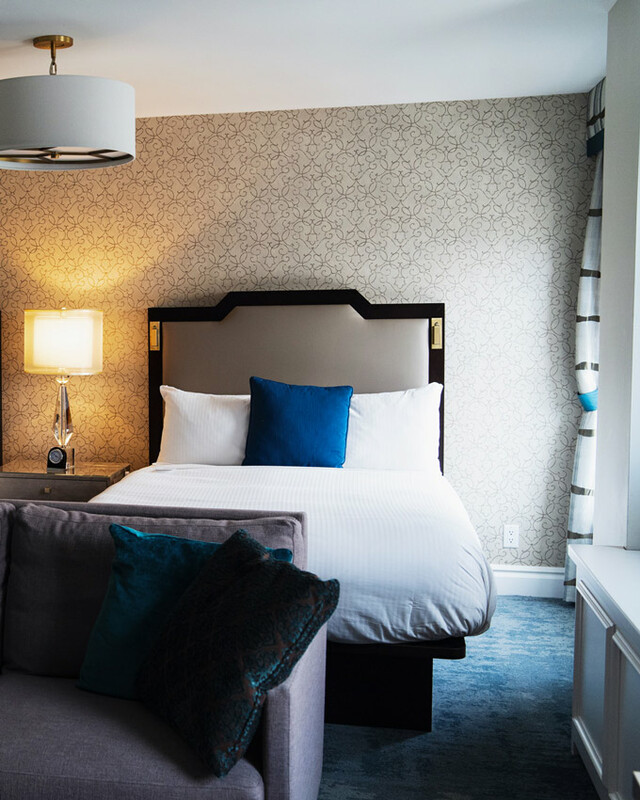 Be My Valentine ($497): Couples Massage (60 minutes), $50 Braxton’s Restaurant Credit, 2x Algonquin Resort Robes, and Bottle of La Marca Prosecco. 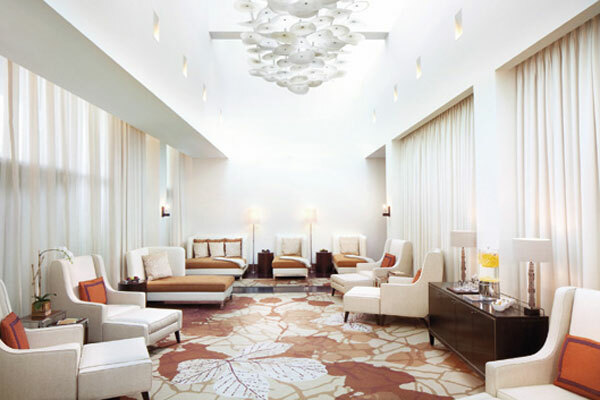 Lounging in Love ($235): Pedicure’s for Two, Bottle of La Marca Prosecco and Shampure Soy Wax Candle.